Dare to be different by pairing the trendy studded blazer with the pink cool pants and the elegant pointy toe shoes for a vanguard-cool look. Or keep it more rock & roll, by wearing the same blazer with a black leather pants for an edgier look, all from DSQUARED2. 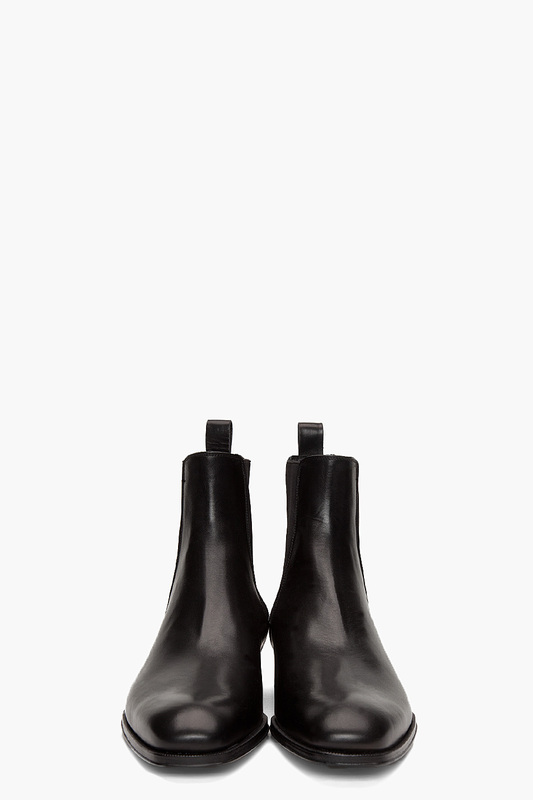 High_top textured leather boots in black. Tapered round toe. Elastic paneling at sides. Pull loop at heel collar. Embossed logo detail at outer side heel. Tone on tone stitching. Approx. 1 heel. 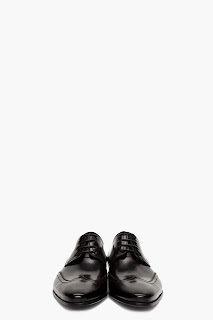 Low_top textured leather dress shoes in black. Tapered round toe with wingtip stitching. Tonal lace up closure. Embossed logo detail at outer side heel. Signature tone on tone stitching throughout.